Elena Rudina lives in the impoverished Russian countryside. Her father has been dead for years. Her brothers have been conscripted into the Tsar's army and taken as servants in the house of the local wealthy landowner. Her mother is dying, slowly, in their tiny cabin. And there is no food. But then a train arrives in the village, a train carrying untold wealth, a cornucopia of food, and a noble family destined to visit the Tsar in St. Petersburg - a family that includes Ekaterina, a girl of Elena's age. 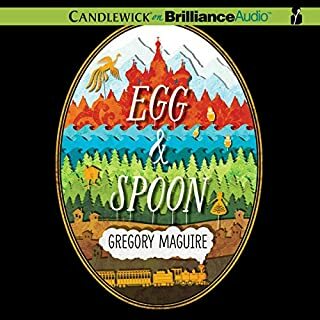 Egg and Spoon is a disjointed Kluge of Russian folk stories and historical events. Gregory Maguire hops from one storyline to another faster than Baba Yaga’s chicken legged house. As soon as you are interested in the people of the poor village, the heroine takes off to St. Petersburg. As soon as you’re interested in that story, enter Baba Yaga Stage right. Just when it looks like the stories are aligned as they head to Petersburg, they decide to takeoff for the north country. 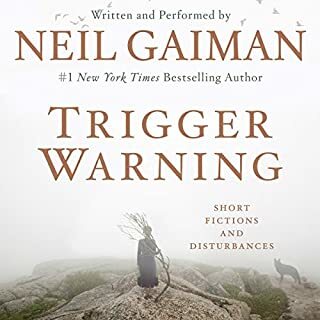 But the story never develops as a good journey tale, instead each phase of the story seems to be an independent unit that never quite fuses with the rest. Maguire never develops realistic characters, like the cat in the story, they are all shape shifters. One moment the aunt is a priggish old maid, the next she is a maternal caretaker. There’s no reason in the story for the change. The two heroines Elaina and Cat switch back-and-forth between being humble and sweet one minute and conniving or stuck up the next. All of the characters were mercurial. They changed from one minute to the next with no real reason for the change. I didn’t like the narrator either. His voices for Baba Yaga, the cat and the old woman in the village were grating. I will admit that sometimes he had some funny lines. Maguire is good at that. But the rest of the story lets you down. 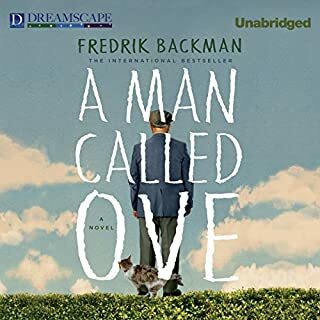 A great book about a quiet man. Loved the Narrator. Loved the story and the way it unfolded. The story arises out of some of the hard things in life and the walls we build to protect ourselves from them. I like music, but I don't often think about it. The best part about the book was when it was explaining how music works? How did different music styles evolve? I was less interested in they information about the music industry. But it was interesting to hear how the talking heads music evolved over time. The narrator was difficult to listen to. He had a flat tone that put me to sleep. I have no idea why David Byrne did not narrate this book. That would've been much better. 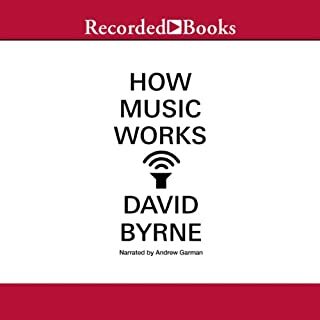 I also would've loved to have a book with music samples in it, but I'm sure the copyright problems associated with such a book would've been horrendous. All in all I think the book was worth listening to. It made me think about music in ways that I had never thought about music. Mindfulness—the art of paying attention with openness and curiosity to the present moment—has attracted ever-growing interest and tens of thousands of practitioners. This uniquely accessible guide provides a scientific explanation for how mindfulness positively and powerfully affects the brain and body, as well as practical guidance. Fully Present provides a good overview of the science, art and practice of meditation and mindfulness. Each chapter is divided up into sections describing the art science and practice of mindfulness. The format seems a bit contrived at first but it grows on you as you continue. The authors give several references to recent studies but are careful to avoid overstating their conclusions. While most of the studies appear to be preliminary, there is a growing body of evidence supporting beneficial effects of mindfulness practices. In the art sections of each chapter, the authors provide several helpful tips for implementing mindfulness practices in your daily life. I found these to be quite helpful. At the end of each chapter there is a brief meditation. These meditations could have been improved upon. The narrator simply reads the meditation as if she were reading a book-which admittedly she is reading a book. There were no pauses or breaks to allow the student to participate in a guided meditation. I would have preferred to have her perform the meditations like a guided meditation. 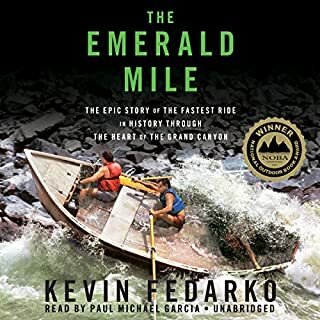 Doing so would have played to the strengths of audiobooks by having the narrater do something that you cannot do with a hardcopy book. 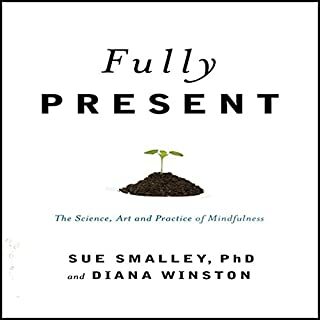 Fully present was a helpful overview of the science art and practice of mindfulness and meditation. 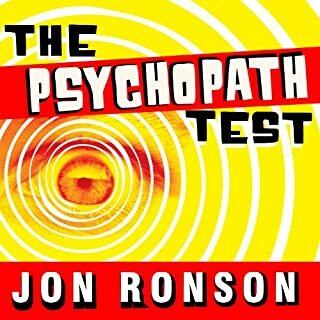 I love the writings of John Ronson. They're very personal. He brings his neurotic self into every story. 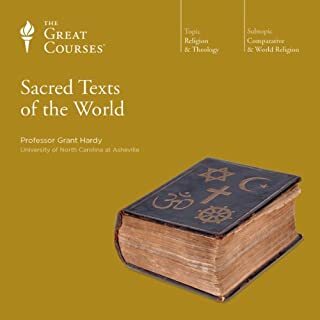 With few exceptions, the world's religions are anchored in their sacred texts-core writings that express the ideals and vision of the faiths, forming a basis for belief and action. Humanity's library of sacred writings is a huge canon that includes many of the most influential books ever written. I think I was most impressed by Professor Harty's sympathy and respect towards the worlds diverse religious traditions. His evaluation is not above scholarly scrutiny but it is always conducted with respect. It is almost as if he were a believer in each of the religious traditions he discusses. With each of the scriptural text he gives some background about where they came from. He tells you some of the things about The text the draw adherence. He usually quotes from the text as well. If you are interested in more information about the religious tradition, he recommends introductory readings. I generally don't give written reviews. I generally don't give five-star reviews. But I wholeheartedly recommend this course. It's one that I will listen to again. I love adventure stories. They inspire me. I love natural beauty and admire people who can capture some small portion wild places in their writing. Kevin for Darko captures the wonder, awe and majesty of the Grand Canyon in the Emerald Mile. He captures the renegade to run the Colorado River. And he gives us a history of the lower portion of the river. 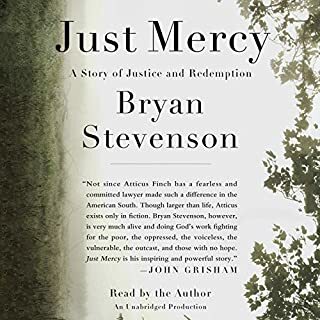 The narrator is perfect for this book. I recommend it highly. The long stories are best. I like the long stories best. Truth is a cave in a dark mountain, Sherlock Holmes story and the shadow story.hearing the story about shadow was like reuniting with an old friend. I have missed him since I read American gods. 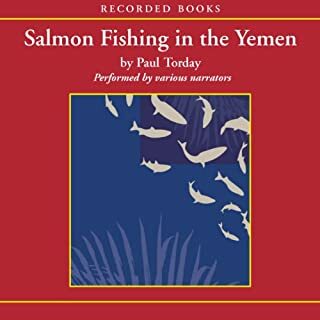 Salmon fishing in the Yemen is the tale of Afred, fishery academic, who is persuaded by Sheikh Mohammed of Yemen to concoct a plan to introduce salmon to the Yemeni waddy. Does that sound far-fetched? It is. But Torday's humor and style somehow hold it together. The story is told threw a procession of diary entries, memoranda, letters, newspaper editorials and parliamentary investigatory reports. Alfred's wife is as cold as a Yemeni monsoon. He has a boss who knows nothing about fisheries. The boss is set on stealing credit for anything good that happens and pushing the blame for any thing bad on to someone else. It's full of bureaucratic double dealing. I'm not sure of Salmon fishing in the Yemen's genre. Is it a comedy? Is it a farce? A love story? A nature tail? Torday's premiss is so wild the verges on science fiction. The performance was excellent with the exception that some of the middle Eastern accents were a little too contrived. One would think they could get performers who actually have the accent. Ultimately, Salmon Fshing in the Yemen is a story about belief that I couldn't quite believe. I couldn't willingly suspend my disbelief, but found the book to be a worthwhile listen because of it skillful lampooning a British Bureaucracy.